Titans are coming, are you ready to fight back? Build walls and defend your city with new weapons. The titans are your main enemies and can eat you if they catch you. In total, there are 8 new creatures that are divided into peaceful and aggressive. The first and second titans (4 meters high). Eren - can be tamed and follow you. He is very strong and can protect you and other people. Colossal titan (100 meters high) is the largest titan of all, it's a giant. 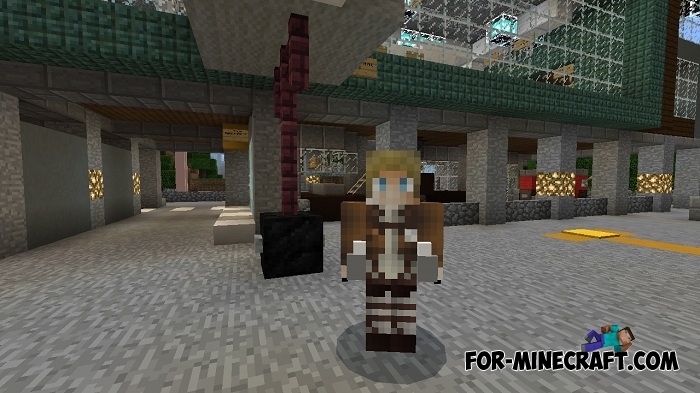 The Attack on Titan addon contains new sounds that you can hear if you hit the titans. Also, there are new swords and items to fight enemies. The vertical maneuvering equipment allows you to shoot small explosive charges that do great damage if you hit the target accurately. 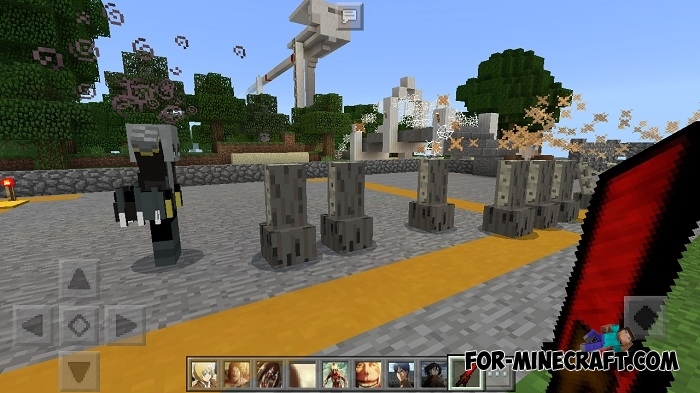 The addon develops and is filled with new features. You can support the creator and watch the video below. 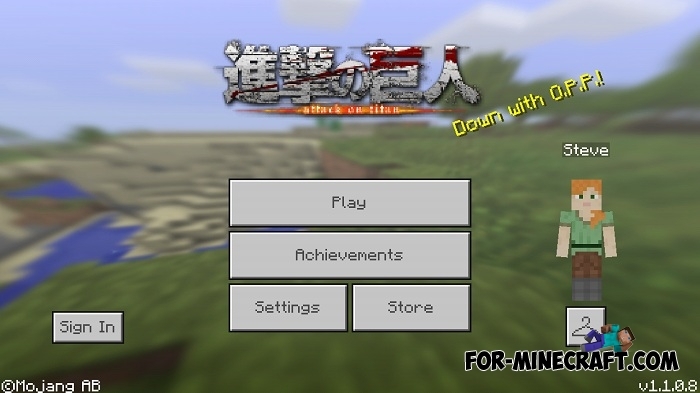 How to install the Attack on Titan addon? 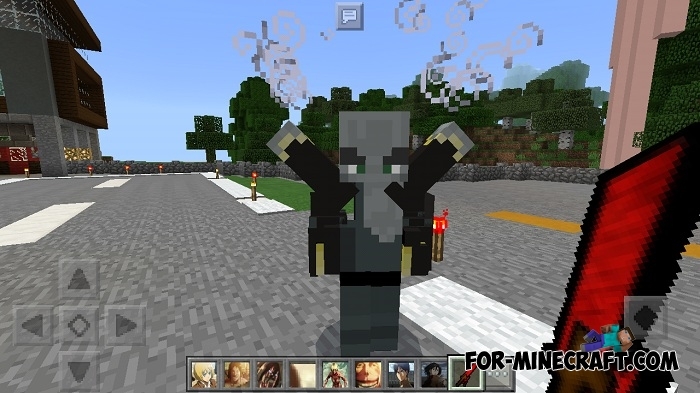 Copy the Attack On titans [Texture] folder here - games/com.mojang/ resource_packs. Copy the Attack OnTitans [Behavior] folder here - games/com.mojang/behavior_packs. Activate these files in the map settings.